If you notice mold or mildew in your home—whether it is in your basement or other areas of your home—you should have it properly removed right away. At Storm Waterproofing, we can remove mold or mildew from any area of your home or business. You can rest assured that we take mold and mildew very seriously. Our removal process follows strict industry standards and guidelines. Mold growth inside your home can cause more than superficial damage. Even if no mold growth is apparent, there may be molds flourishing in hidden areas of your home, releasing allergy- and asthma-causing spores into the air. Professional mold remediation is the only way to successfully remove all mold and mildew growth from your Baltimore home. Allergy and Asthma Symptoms – Family members who suffer from allergies and asthma are at particular risk from household mold. Mold spores can trigger allergy symptoms that may range from mildly uncomfortable to severe. Spores may also worsen asthma symptoms or even induce asthma development in children. The symptoms of a mold allergy include coughing, wheezing, congestion or a runny nose, and itchy or watery eyes. You may also experience skin hives or a rash. Asthma symptoms include wheezing, coughing, shortness of breath, and chest tightness. In some cases, an asthma attack may be serious enough to warrant emergency medical care. General Malaise – Mold spores in your home can affect even healthy individuals. Prolonged exposure to high levels of mold spores can lead to headaches, trouble sleeping, irritability, difficulty concentrating on tasks, and a general feeling of discomfort or poor health. Some studies indicate that extremely long-term mold exposure can even put you at risk for serious health concerns, including cancer. Complexity of Removal – Household molds are so dangerous because removing them is not a simple task. Because molds can even take root in your home’s HVAC system, spores can be easily circulated continually through your home, exacerbating the medical concerns they cause. Thus, mold removal from normal household surfaces is not sufficient to completely clear your home of mold. Mold remediation should be performed on your home’s ductwork as well to completely eliminate the issue. Basement or crawl space waterproofing can prevent future mold growth by removing possible sources of water. Mold removal should be part of any water damage or flood damage repair you schedule for your home. If you or your family is experiencing symptoms associated with mold exposure, we can come and inspect the affected area and locate the source of the problem. Then we can provide you with the best solution for the issue. 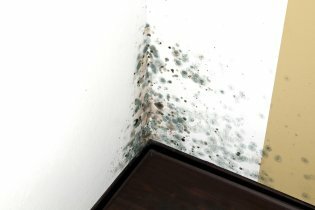 Proper removal and containment of mold and mildew growth is vital in order to prevent the further spread and contamination of the mold and mildew, mold spores, and other toxins created by mold. For a free estimate, call us at (443) 618-8147.